More than 150,000 people have been evacuated as two big wildfires rage in California, with one having caused a number of deaths, officials say. West of Los Angeles, the Woolsey Fire has jumped a major highway and is now threatening coastal areas, including parts of Malibu. 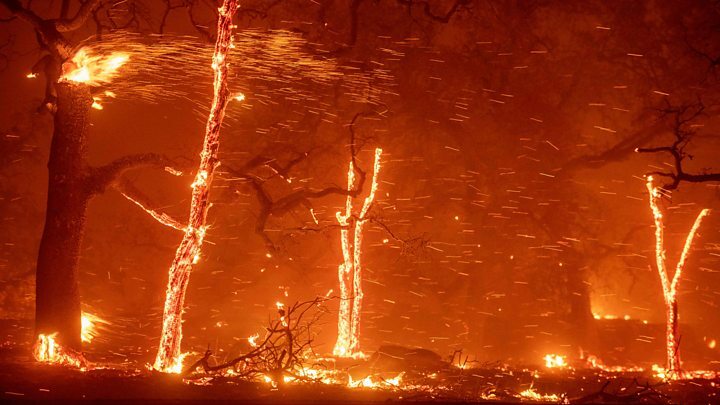 Further north near Sacramento, the Camp Fire has led to deaths and injuries and destroyed a town. It has caused an unknown number of deaths and there are also injuries, California emergency official Mark Ghilarducci told reporters.